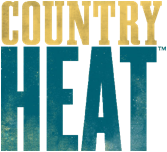 Beachbody, the leading provider of in-home and gym-based fitness programs including P90X®, INSANITY® and more, will launch its newest dance-based workout Country Heat on Thursday, July 28. The workout was created by Super Trainer and 21 Day Fix® creator Autumn Calabrese, whose passion for country music inspired the moves and music chosen for Country Heat. Choreographed to 40 popular country music hits* including “Kick the Dust Up,” “Crash and Burn” and “All About Tonight,” Country Heat includes six, 30-minute, calorie-busting cardio routines. The program also features a brand new song, “Night Crawl,” written exclusively for Country Heat by award-winning country artist Jo Dee Messina. The track will be made available via iTunes two days prior to the release of Country Heat on Tuesday, July 26. Country Heat is launching in conjunction with the Beachbody annual coaches Summit taking place in Nashville the week of July 25. For more information and to order Country Heat, please visit CountryHeat.com. Born to Boogie – Hank Williams Jr.
Find the most current JoDee Messina tour dates from our partners at Country Music On Tour, your trusted country concert ticket source! Country Music News Blog participates in advertising programs that help fund the operation of this site. For more information please visit our privacy statement. This entry was posted in JoDee Messina, Press Releases by admin. Bookmark the permalink.